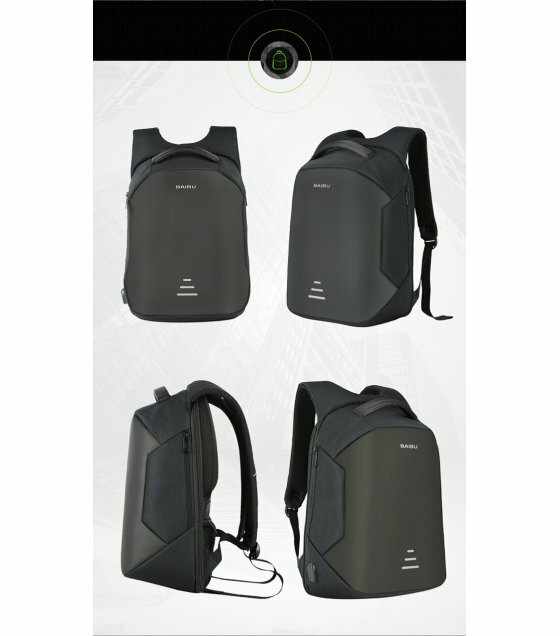 This Backpack apply anti-theft design techology. 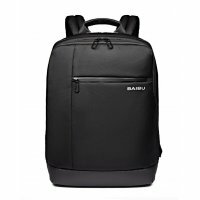 Zipper of main pocket is fully hidden in the back of this bag ,no theft will easily open your backpack, makes your valuables more safer. 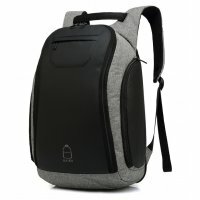 There is a Reflective Stripe on the front of the bag which makes this backpack more conspicuous in the night. 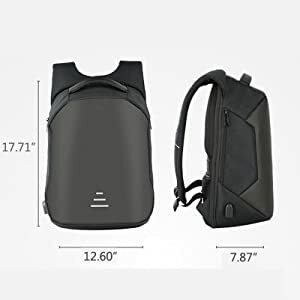 This is a safe backpack for you to walk in the night. 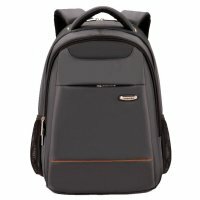 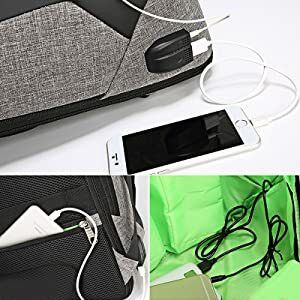 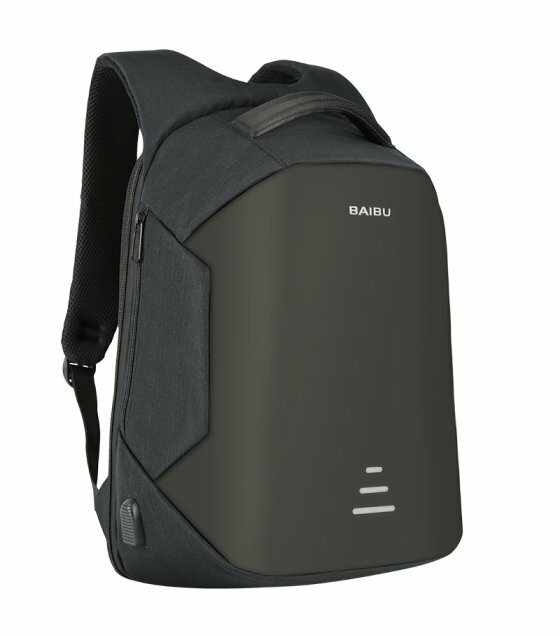 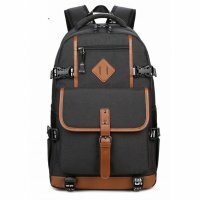 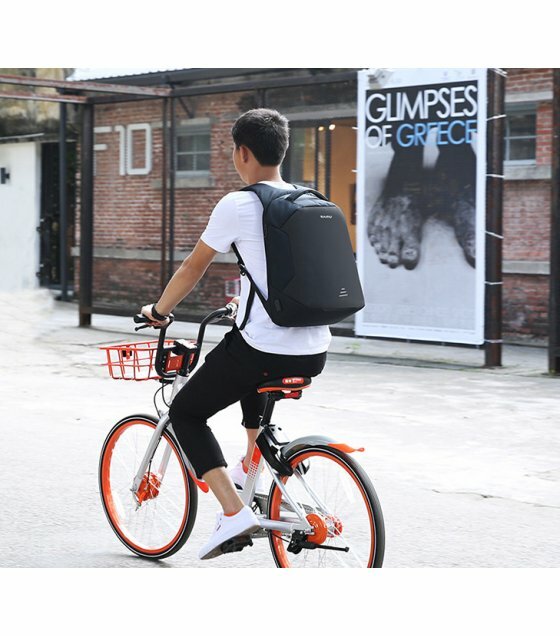 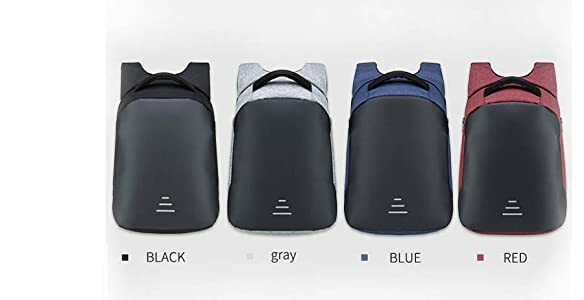 Most upgraded difunctional design with built-in USB and headphones port inside the backpack, and you can connect your phone with your own power bank inside quickly without keeping opening your backpack. 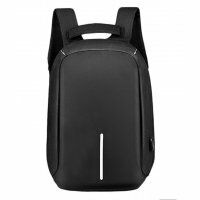 Perfect for business trips or weekend getaways or for simply heading to the office or school and home again. 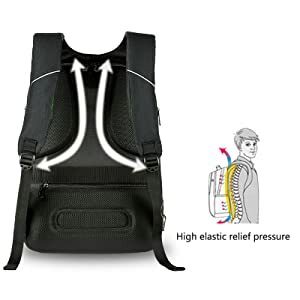 High elastic relief pressure and anti_seismic backpack, there are three materials to ensure decompression, first layer fabric mesh make sure the breathability, the second layer sponge can control release, the third foam have good relief effect. 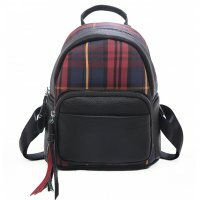 It is very comfortable to wear and sticks to the body and so you do not feel the weight even when it is carrying heavy items. 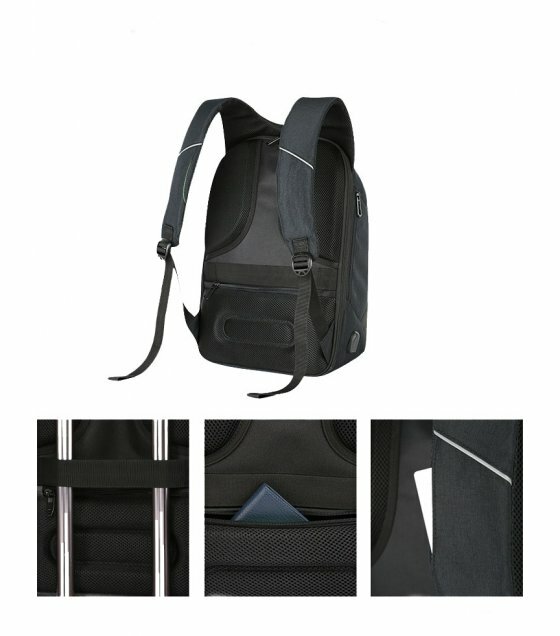 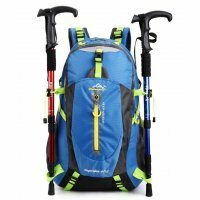 Padded shoulder straps and back padding offer extra back support and comfort for your daily travel. 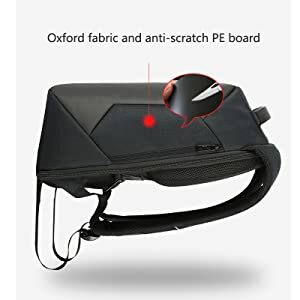 Water resistant oxford fabric and anti-scratch PE board. 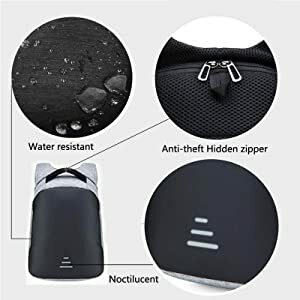 Noctilucent strips look fashion , also have practical use.When cycle or travel at night,the noticeable noctilucent strips improve your safty.Anti-theft Hidden zipper protects your wallet and other valuables inside from thief. 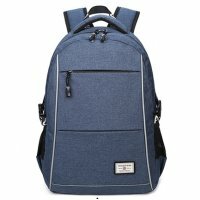 Weight: 0.75 kg / 1.66 lbs. 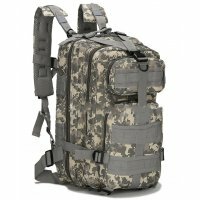 Capacity : 38l / 1.31 CU ft. 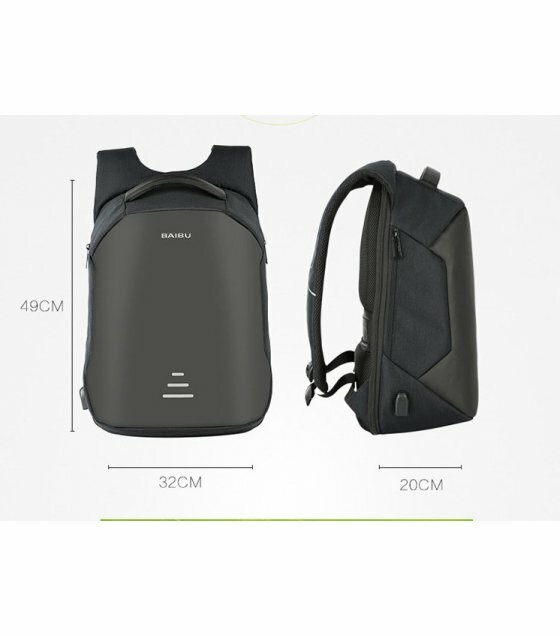 Fits laptop size:13 14 15.6 inch. 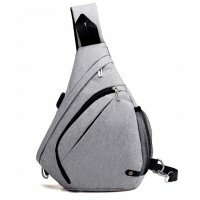 Height46 cmWidth34 cmSide Width20 cmMaterialNylonColourAs Shown in Image ..
Height48 CMWidth31 CMSide Width16 CMMaterialCanvas Nylon & Pu Leather StrapColourAs Shown in Ima..
Height47 CMWidth30 CMSide Width17 CMMaterialNylonColourAs Shown in Image ..
best crossbody bags for travelThis multi-function, lightweight, & stylish best crossbody bags fo..